Hats off to Facebook for finally adding this option, but unfortunately it only half works. You can either share your screen OR you can share your camera, but you can't do both. You can share your screen, but only one screen, you can't change the screen sharing selection again once you are live, which is a total bummer. This is sort of cool, but not totally. With so many other options available that allow you to share your screen and your camera, I don't see myself using this feature. Want to know which live app to choose? I made this awesome quiz to help you figure it out. 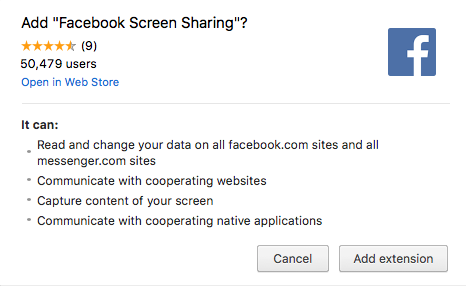 The first time you access this feature you will be asked to add the "Facebook Screen Sharing" extension. 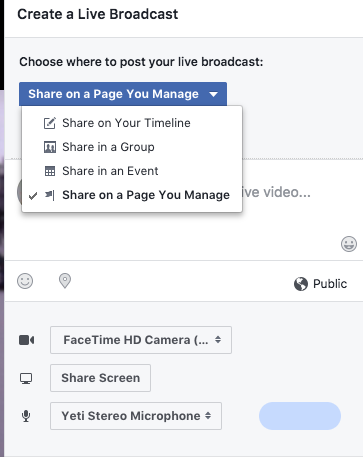 This is what is going to allow you to share your screen on your live broadcast. 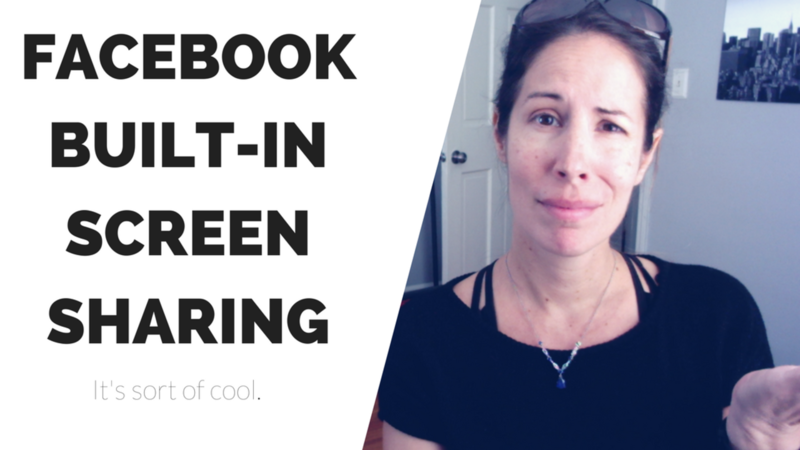 Here's what the new Built-In Facebook Screen Sharing interface looks like. Listen I get it. I've made ALL of these mistakes so you don't have to. Grab this easy checklist to make sure every time you make a video!